As a child growing up in the 80s, cheesecake meant a small dense cupcake topped with strings of slightly burnt cheese on top. Literally, a small cake with cheese. It was a lunchbox staple for many kids of my generation since it could be bought practically anywhere. When I ran into this recipe in an old issue of Food Magazine, I made sure to save it and try it afterwards. It was a good decision because it made for a creamy, lightly sweetened cupcake that was a better version of the store-bought cheesecakes of my childhood. Plus, because it’s homemade, I could pile more cheese on top! At times, I even stick small cheese cubes in between scoops of batter, creating a cheesy surprise in the middle. Sift in flour and baking powder. Mix until blended. Add half of the grated cheese to the batter. Pour into lined muffin pans. Sprinkle top with the leftover grated cheese. Bake in an oven that has been preheated to 350-degrees fahrenheit for 25 to 30 minutes or until the tops are golden brown and a toothpick inserted in the center comes out clean. Set on a wire rack until cooled. This entry was posted in recipes and tagged cheese, cheese cupcake, cheese muffin, cheesecake, condensed milk, cupcake, lemon squares, milk, muffin. Bookmark the permalink. Is ‘creaming’ the same thing as ‘beating’ or is totally different? Did you do it by hand or blender on a low setting? And which condensed milk did you use? Sorry, just asking because I want to do this too haha. Nakakamiss! Iba talaga ang may baker on call 24/7! i’ve been on a quest to finding the cheese cupcake of my childhood. i’ve despaired for so long, the closest i got are the cheese cupcakes from beard papa, but, not quite pa din. the smell, the dense moist cake, the brown cheese strings…. thinking about it makes my mouth water. milkmaid is the best to use it’s full cream milk as against other brand that are only filled milk. Crap! I missed it. Great catch, thanks! I remember this kind of cupcake! Haha! I’ll let my daughter try out this recipe the next time she wants to try a hand at baking. I hope your daughter gets to try it. This is pretty foolproof and a good place to start baking. This cupcake takes me back to gradeschool 😀 Love the cheese on it, lalo na pag medyo sunog! Lots of sunog cheese is best! Glad you like it Toni! Hope you get to try it soon. i’ve been using this recipe for the 3rd time now and my sibs and friends cannot get enough of this cupcake. this is my best cupcake recipe so far 😉 thanks for sharing! Happy you’re addicted as I am, hahahahaha! Hi! 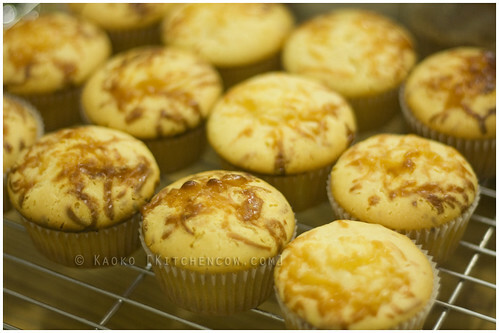 I had been craving for a certain cheese cupcake I used to have as school baon when I was a kid and chanced upon your recipe. I tried it and it was an instant hit at home! I made one batch last Saturday and was able to yield 36 from your recipe (I used muffin pans). And because they didn’t last half a day, I made two batches yesterday. I am hoping that when I get home later, there will still be some left. oh, and I also used Milkmaid condensed milk (which was the most expensive) and kraft cheddar. Cupcakes turned out heavenly, of course. I hope you don’t mind that I shared your recipe to a friend, but I pointed her to your website. I copied the link and sent it to her so she can check this also. Hey very nice web site!! Man .. Excellent .. Amazing . 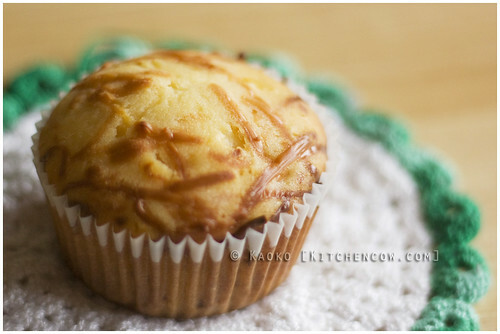 The best cheese cupcake recipe! :)) quick question, would you recommend buttercream frosting with this kind of cupcake? Any suggestions for frosting? Thanks! Of course, what a splendid website and revealing posts, I definitely will bookmark your site. added in your RSS feeds, so when I have time I will be back to read a great deal more, Please do keep up the superb work. I’ve tried it 3days ago and t’was really nice and moist! My husband and son loves it and also my co-workers! Thanks for this recipe?